Teams accepted and paid on Got Soccer are not guaranteed entrance to the tournament until after bracketing is completed, which may occur less the 30 days prior to the tournament. If there are not a sufficient amount of teams to create a Gold, Silver or Bronze bracket, your team will be refunded in full. The tournament is not responsible for Hotel contracts signed by teams for Group Blocks or Individual rooms as per the Hotel Policy stated on the HOTEL TOURNAMENT WEBPAGE. Please read the tournament rules and regulations. UPON ARRIVAL - MANAGER SHOULD CHECK IN AT THE FIELD MARSHAL TENT TO PICK UP GAME CARD ETC. A) TOURNAMENT CHECK IN will take place at​ the field. Please register your teams 1 hour before the first game at the Field Marshal Tent​ at the venue your team will be playing. Riptide SC will be complying with the USYSA/USSF birth year mandates with the birth years as of January 1st. Teams registering will need to comply with the rules and make sure all players are using their 2017-2018 or 2018-19 cards (Summer cards will be accepted) and the Field Marshals will check each card & medical release form to assure players are playing in the correct age. Player passes must be registrar-stamped and laminated permanent cards for the 2017-2018 season/2018 summer cards or 2018/19 cards. Administrator credentials for CYSA-South teams according to CYSA Rules and Regulations are required. Because teams are transitioning between seasons and teams, unlimited guest players are allowed but MUST have properly laminated VALID player cards and properly signed registration forms or the player(s) will NOT be allowed to participate. Make sure your make up of ALL player cards are the same Birth Year, as we understand there may be various cards from different Clubs/teams etc. Please help us keep the fields clean. Each team is responsible for picking up trash on the field after each game. NO DOGS ALLOWED, please comply with the park rule. This is a CYSA-S sanctioned event and NO SMOKING/NO ALCOHOL is allowed on any fields (CYSA rule). AGE GROUP: PLEASE MAKE SURE YOU'RE LISTING YOUR TEAM UNDER THE BIRTH YEAR. The Riptide Summer Classic Tournament age brackets are based on your teams age level under the New USYSA/USSF mandates which require the players to register with valid ID cards. We are adopting the Calendar year, January 1st - December 31st birth year for all ages competing so all birth dates will be checked at the Field Marshall tent. c. Smoking is NOT allowed on any CYSA-S gaming fields. (CYSA-S rule). 4. 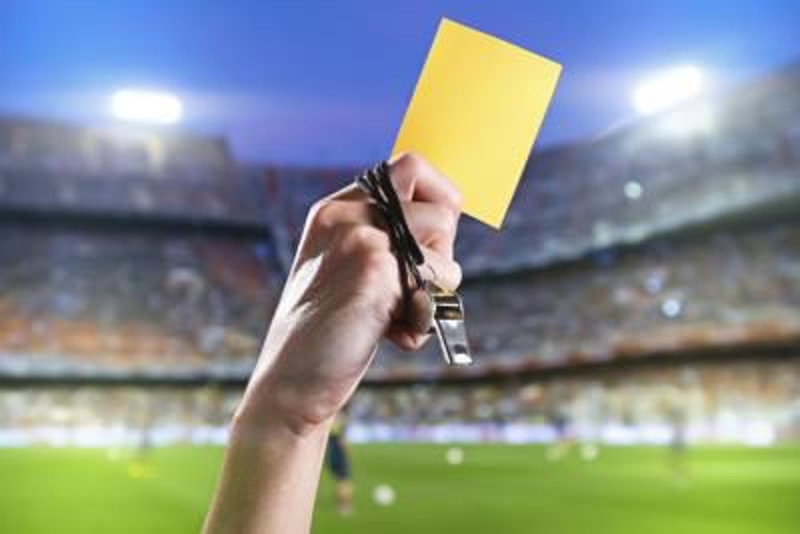 GAME CARDS: The coach or team manager/administrator will be responsible for delivering signed game cards from the referee to the field marshal after each game. a. All referees are "USSF-certified". c. Pool play for 2010-2009 age brackets will have one assigned referee. d. All matches for 2008-2000 will have three assigned referees. e. The referee has final say on safety of each player's equipment, including shin guards and any type of knee brace or cast. Shin guards are mandatory. Home team has choice of side line. No two teams will play from the same side, unless field space or other circumstances dictates otherwise. 10. PROTESTS / DISPUTES: No protests will be allowed and all games will be considered final. The Tournament Director will resolve any situation not explicitly covered by the rules. Disputes relating to the interpretation of these rules will be resolved with the field marshal and ONLY the administrators/coaches that are registered with the involved team(s). Individuals may not represent a team if not registered as an administrator/coach with the involved team(s). Please make sure you fill out the protest/complaint forms which are locted at the Field Marshall booth. e. Teams fail to report to the field with the minimum number of players to start the game, 5 players for 2010-2009 and 7 players for 2008-2000. BELOW: AGE GROUPS BASED ON 2018-2019 PLAYER CARDS & BIRTH YEAR MANDATES. BUILD OUT LINE RULES APPLY FOR 7 V 7. - Heading – Per US Soccer rulings, 2008 & below are restricted from heading the ball. If the deliberate header occurs within the goal area, an indirect free kick should be awarded from the nearest corner, of the goal area, to where the infringement occurred. We guarantee 3 games played per team. In the event of a last minute team drop and your team/teams don't play 3 games; refunds will be issued as follows: There will be no refunds to teams who forfeit their own games. Rain or other weather conditions before or during the Tournament shall not delay play unless the referee deems the field unsafe. In the event of inclement weather or unsuitable field conditions, games may: be shortened, go directly to FIFA penalty kicks or be cancelled. The Tournament commitee will assess any reimbursements of fees for cancellation or forfeiture of the tournament or of any game. 7. Acceptance Notification: when payment is made prior to deadline. 8. Withdrawal Penalty: After deadline: July 21, 2018 NO REFUND. Tournament Rules May Be Modified Without Notice.